We did it!! 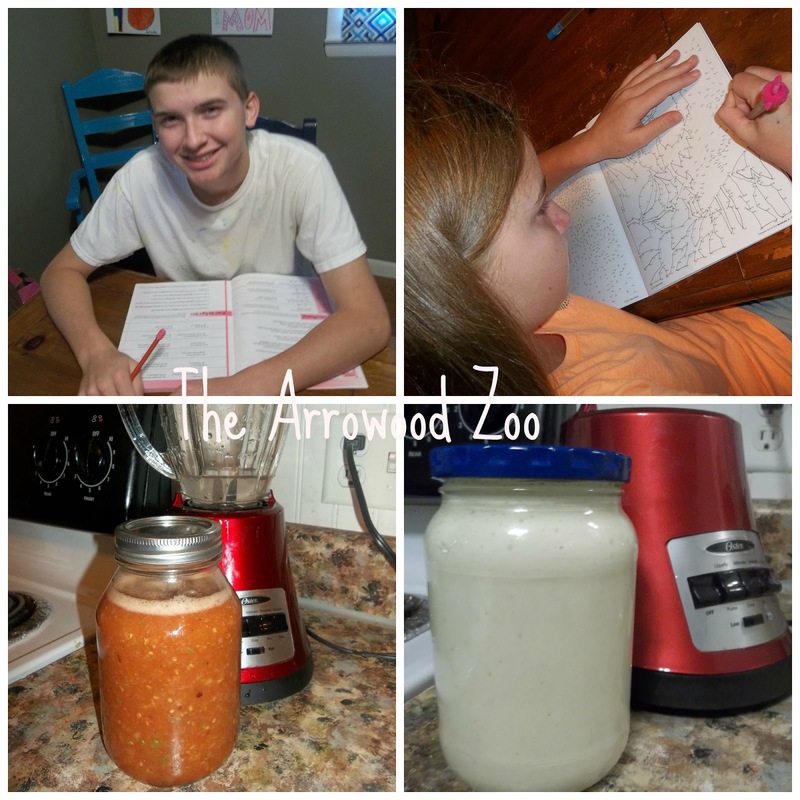 We completed week one of the 2015/2016 homeschool year with only a few bumps and thankfully nothing we couldn't recover from! This week was mainly all about getting into a routine again. We took a whole month off for break before our new school year started. Remember we do homeschool year round, 8 weeks on 2 weeks off. This week we did discover something I actually already had a hunch about - Our math option wasn't going to work for our smallest 2. I gave placement tests for the other option I had considered and we are going to be going with Horizon's math for my smallest children. Kyle will stay in Algebra 1 with MUS. I personally love MUS so this is a huge slap in the face for me but here again we have to teach how OUR CHILDREN learn not how I like to teach or what I like to use. Lesson learned first week! 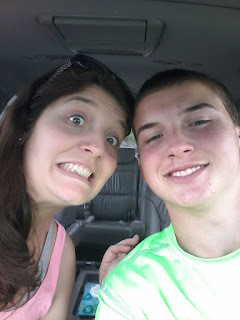 Zachary and I have been working for many weeks on All About Spelling Level 1. He has dyslexia and our tutoring had stopped several weeks ago and we started him on AAS 1. It has went really well and I am happy to say this week we completed level 1 and will move on to level 2 next week. This was a big week for myself too! I started my own 21 day Fix / Paleo Diet this week. No sugar and a workout daily for 30 minutes. The first 2 days proved easy but the last part of this week has had more challenges. Breakfast is my problem area so I am going to get on Pinterest this weekend and try to resolve that! We had a HUGE birthday in our house Wednesday! 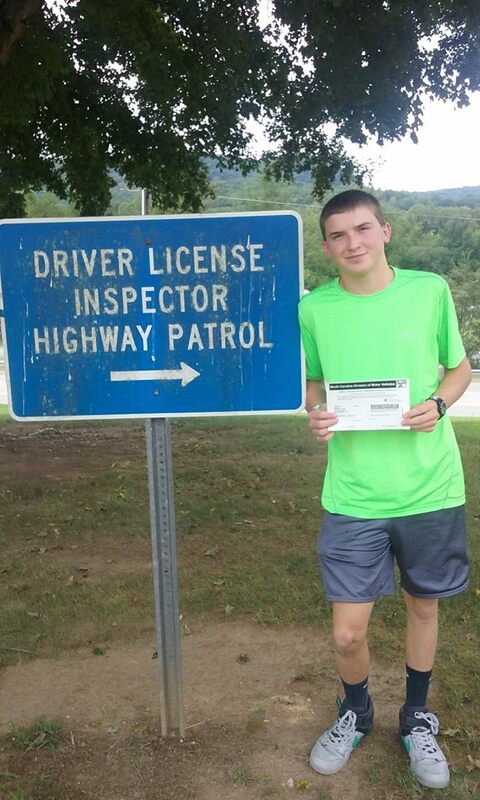 Kyle turned 15 and here in NC that means DRIVING... Yes I took him to get his permit and he passed and drove from the DMV office to eat at a special restaurant of his choosing and then to get ice cream and he drove home. He did really well and I am proud of him. It makes me really nervous to see this stage in our life because I understand I start letting go from this point on. I am praying for guidance. Next week is also a big week because foster son starts public school, we have prepared the best we can and all of us are very excited. Not homeschool related but still something within our week: I made homemade mayo and homemade salsa so I could still enjoy those on my diet! They taste really good too. I was so scared of making the mayo because being from the south I am a Duke's Mayo girl through and through but to my shock the homemade wasn't that bad. For the first time in over 3 years I started making soy candles again!!! JUMPING FOR JOY!! I can't explain how happy I am to start making them again! I plan on testing a few things before I start promoting but if you want to follow that I will be opening my Etsy store by the end of the month! Follow along here: Simply Pure Soy Candles. 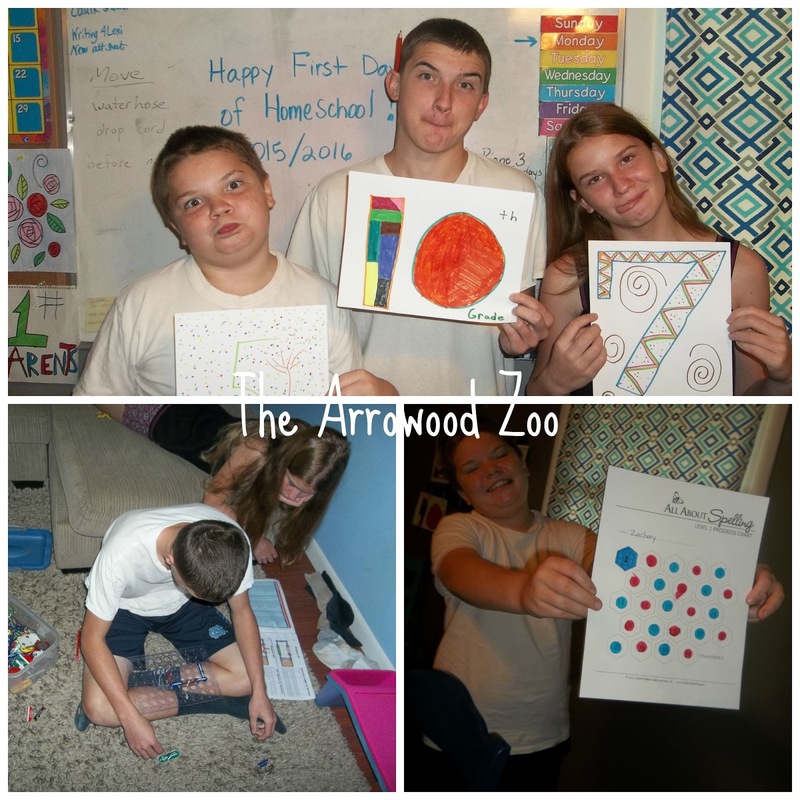 Linking up with Kris from Weird Unsocialized Homeschoolers!